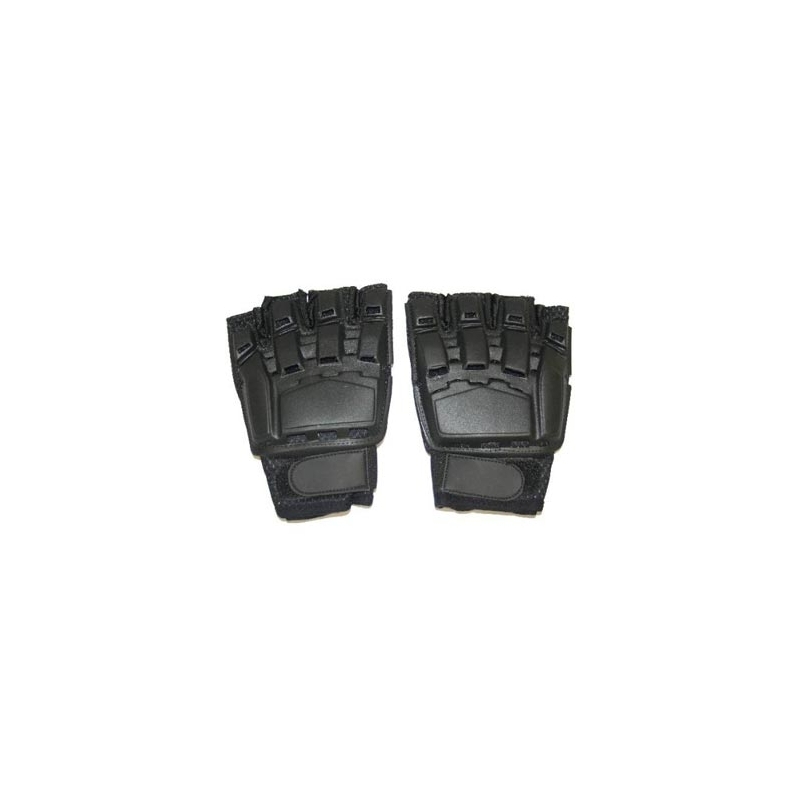 This half-finger glove is designed to be a cost-effective way of offering maximum protection to your hands. 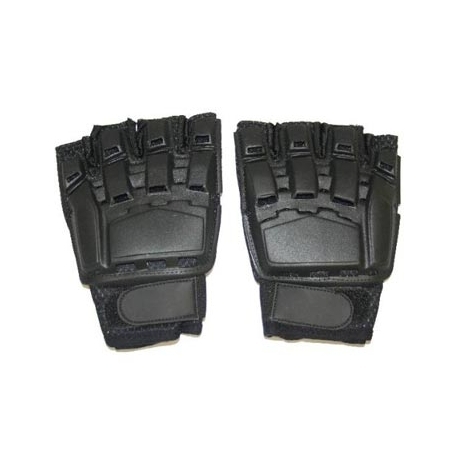 The plastic armor plate on the back of the glove stops the sting of paintballs. 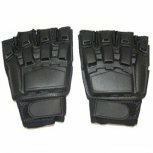 These glove are amazing, they fit good, they feel good and their half fingers so you can grip stuff. Used these once and instantly fell in love. The half-finger coverage allows you to perform precision tasks even while wearing them, (tying knots, screwing on a cap, etc) and the hardened plastic backing stops paintballs in their tracks! I took a ball on the back of my hand, and I only felt the impact! Plus, they are rather sylish for the price you're paying.